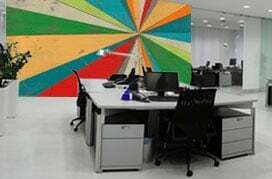 World map wall murals are indispensable teaching tools that expand our knowledge and enrich our view of the world. This collection of wallpaper murals exclusively features maps of the world, perfect for class rooms, homes, offices, activity centers and other indoor areas. Geography buffs, map collectors, travelers and travel enthusiasts consider maps among their prized possessions and with good reason. Maps of the world offer us an insight into the physical shape and structure of our planet and distances between locations, the fragile balance that keeps the ocean masses from submerging land and the fact that we are all connected in more ways than we can imagine. This set of murals includes high quality world maps, some featuring images generated and recreated by NASA of the earth’s continents and cloud systems as seen from space with the moon in the backdrop, antique maps of the world and classic maps. Whether you’re looking for a modern world map to use as an educational aid or a vintage map to add character to your walls, you have arrived at the right destination. 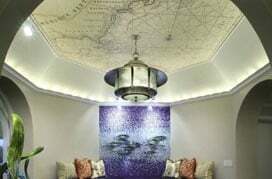 The wall murals featured here include classic world maps, political maps, artwork of a decorative world map, the map of a Pacific centered world in earth tone and others. Besides world maps, the collection features images related to navigation and travel, such as the mural with the compass and globe that is sure to lend an authentic, vintage charm to your space. These maps are great as gifts for teachers, children and students who will continue to use them for many years to come. World maps make great conversation pieces, making them ideal choices for waiting rooms, lounges and lobbies. Besides serving as educational and conversational aids, maps have a way of functioning as windows, opening up your space to make it seem larger. There’s something to be said about being able to take in a view of the world from your study or family room. If you’re looking to transform a wall in your space into a multipurpose learning, exploration and entertainment center, you probably won’t find a better way to do it than with a world map wall mural.